The mythological, historical, social and cultural importance associated with Nashik has helped create a unique personality of its own but it is incomplete without mentioning Shirdi Sai Baba. As we aptly say “Welcome to Nashik The City of Pilgrimage! !” Located on the banks of river Godavari in Maharashtra, Nashik is a major Hindu pilgrimage city. An old Legend goes”No harm shall befall him, who steps on the Holy soil of Shirdi”. Shirdi is Located 122 km’s from Nashik City which is the Holy abode of one of Maharashtra’s most revered saint —Sai Baba of Shirdi. People know Shirdi because of Sai Baba. The town falling under the jurisdiction of municipal council popularly known as Shirdi Nagar Panchayat, located in Rahata Tahasil in Ahmednagar district in the Indian State of Maharashtra. It is accessible via Ahmednagar – Manmad State Highway No.10 approximately 83 km from Ahmednagar and 15km from Kopargaon. Every activity at Shirdi revolves around the vast temple complex dedicated to Sai Baba. 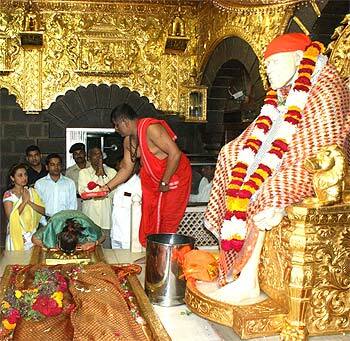 Shirdi has located approximately 296 km from Mumbai, capital of Maharashtra in India. It is called the Land of Sai. The closest and most highly connected city from Shirdi is Ahmednagar city. 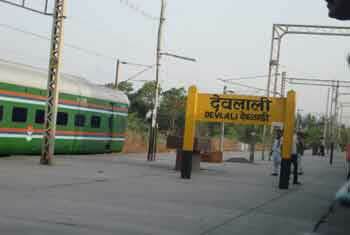 Shirdi now has a new railway station called “Sainagar Shirdi“, which became operational in March 2009. Railway stations and locations to and from Shirdi. Shirdi can be reached by bus from any of the following cities in Maharashtra State Buses and taxis ply from these: Ahmednagar, Pune, Nashik, Mumbai, Thane, Akluj, Dhule, Nagpur, Aurangabad. Also from Hyderabad, Andhra Pradesh from where maximum pilgrims reach every day and year to seek blessings from Sai Baba. Currently, four-laning of State highway Nagar-Manmad highway is in progress on BOT basis Maharashtra State Road Development Corporation has been assigned to execute the works of internal roads in Shirdi. There are several people who visit barefoot to Shirdi from Mumbai, Nashik, Pune and other location know as Sai Palkhi, In fact, NMC (Nashik Municipal Corporation) has planned a separate lane for palkhi on Nashik-Shirdi road. Shirdi Airport is being constructed at Kakdi (Kopargaon Taluka), 14 km south-west of Shirdi. Recently Nashik AirPort Started its operation Which is connected from Pune, Mumbai and Delhi. Sai Baba of Shirdi also referred to as Shirdi Ke Sai Baba, (Popularly known as the ‘Child of God’), was a spiritual master who’s considered as a saint, a fakir, a satguru along with an incarnation avatar of Lord Shiva. Sai Baba preached tolerance towards all religions and the message of universal brotherhood. Devotees start queuing up in the early hours of dawn to catch a glimpse and seek the blessings of the life-size statue of Sai Baba. Thursday is marked by special pujas and darshan of the Sai Baba statue. Around 60,000 people visit the temple every day and the number goes up to about one lakh on weekends. During special festivals, at least two to three lakh devotees visit the famous shrine. Shirdi Sai Baba Temple located in the Shirdi Village of Ahmednagar District was built over the samadhi of Shri Sai Baba in 1922 during the 19th Century. It was the year 1917. 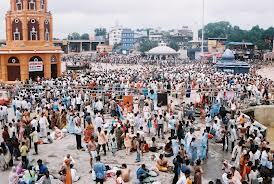 Devotees kept coming to Shirdi in very large numbers. 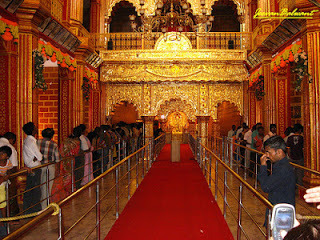 Shirdi temple was established to carry out the services of Shri Sai Baba. A visit to Shirdi is a very special occasion for the millions of devotees of Sai Baba. At Shirdi, the day starts very early with the daily morning aarti which is held every day at 5:30 am followed by the ‘holy bath’ of Sai Baba. Regular darshan starts at 7am for which devotees start forming queues as early as 4 am at the temple entrance. The Sai Baba temple complex has four gates and the queues for darshan into the Samadhi temple begins only at gates 2 & 3. With thousands of energetic pilgrims all around, you feel surrounded by a tremendous sense of energy. As the line of the queues moves ahead, We get consumed by the passionate sloganeering of the hajis shouting, ‘Jai Sai’, ‘Om Sai’ among other such slogans. The darshan is a quick one owing to the thousands waiting behind you and after that, you’re ushered hurriedly into the temple complex. The Khandoba temple, the spot where Baba acquired the title ‘Sai’. Dwarkamai, which is actually a mosque and where Baba lived. It was here that Baba also worked as an Hakim and performed most of the miracles attributed to him. Lendi Garden that houses the Nanda deep sited between a neem and a bodhi tree that Sai Baba planted himself. It is said of the Nanda Deep that the lamp has never been extinguished. and not forget the mega kitchen of Shirdi, which is 100% powered by solar energy. 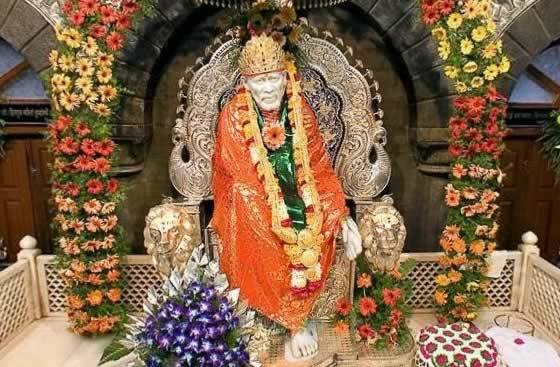 Apart from places to visit in Nashik, There are several other locations you should try give a visit when you are in Shirdi. 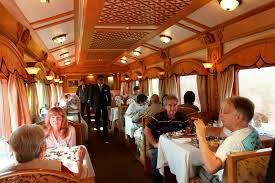 Despite being the part of Ahamadnager, most of the people visit there are either from Mumbai or Nashik.